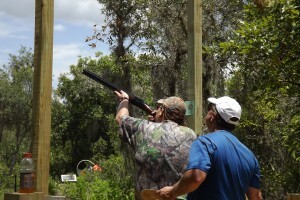 For recreational and competition clay shooting advocates in Tampa, FL, and in cities throughout Central Florida, Florida Sporting Clays offers a unique type of shotgunning instruction that is simply effective and effectively simple. We’re proud to provide instruction under the Coordinated Shooting Method Teaching Recreational and Competition Shooting (CSM/TRACS) program, an innovative method for shotgunning instruction pioneered by world-class shooting instructor and former Chief Instructor of the National Sporting Clays Association, John Higgins. CSM/TRACS is student-centered, behavior-based, and seeks to improve shooting confidence and success through improving knowledge, shooting skills, and attitude. The primary difference between CSM/TRACS instruction and traditional clay shooting instruction is that traditional instruction focuses on a technique, whereas CSM teaches a method. Even the most well-rehearsed and practiced technique can prove faulty now and then. However, when learning the CSM/TRACS shooting method, you’ll be able to self-diagnose where and why you missed your target, and learn how to make the necessary adjustments to improve your accuracy on your own. Through simple self-correction, you will be able to constantly improve your game. So, whether your current preferred clay shooting technique is swing through, pull away, or sustained lead, you’ll be able to constantly sharpen and hone your shotgunning skills after learning the fundamentals of CSM/TRACS. 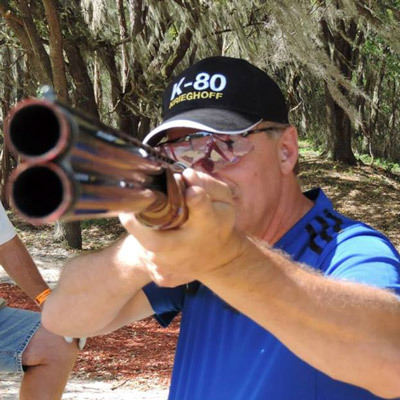 To learn more about Florida Sporting Clays and the unique CSM/TRACS clay shooting method that we teach at sporting clays courses and outdoor shooting ranges throughout the Tampa Bay area and across Central Florida, please give us a call today. Both individual and group instruction is available.